One of the most common questions I get is, "What are your most popular essential oils?" I thought since I get this question so often, I might as well have an easy resource for my clients either as a starting point or reference point for later. So here it is! Our top 10 essential oils & blends! Lavender is like your natural "Swiss army knife." It's super versatile and can be used for tons of different things! It's your "deserted island" oil. You know, the oil you'd bring on a deserted island because it basically can handle almost anything. It's all things calming and great for the skin, burns, cuts, rashes, seasonal or environmental threats, relaxation, and sleep (just to name a few). Lemon is your cleansing oil and is amazing for natural cleaning, detoxing your body, and lifting your mood. I add this one to my water first thing in the morning to help flush my system and throughout the day in my water to help digestion and detoxifiction. I love diffusing this one for uplifting aroma and use with lavender & peppermint it makes a great trio for springtime threats. Peppermint is all things cooling & invigorating. It's perfect for headaches, cooling the body down when it's over heated, focus, memory, alterness and productivity, energy, and opening up airways. It's also great for freshing your breath (I love our peppermint beadlets). My favorite afternoon pick-me-up is peppermint, wild orange, and frankincense. Put these in your palms & inhale or in your diffuser. Frankincense is the King of Oils. It is super gentle, versatile, and powerful. It's incredible for the skin, anti-aging and irritation, the immune system, the nervous system and brain, focus and productivity, cellular health, and overcoming negative emotions. It's no wonder the wisemen gave it to baby Jesus, it is fit for a King! I love using frankincense every morning by dropping 2 drops under my tongue. 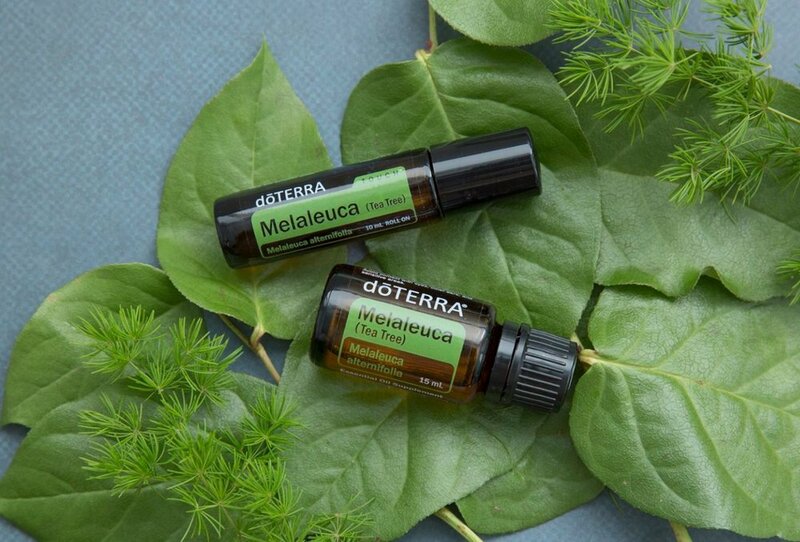 Melaleuca or more commonanly known as Tea Tree oil is the go-to oil for the skin. It's great for helping clear skin whether it be due to pimples or rashes. It's anti-bacterial and germ-destroying. A great oil to pull out when your immune systems needs a boost. It's also amazing for any ear issues that little ones might have. I keep this one in my bathroom for quick spot treatment. Oregano is the powerhouse when it comes to the immune system. This is a hot oil and it must always be diluted when used on the skin! It's great when you're under the weather and need to bring out the big guns. It's anti-bacterial, fights against unwanted bacteria or pathogens, and germ-destroying. Keep this one on hand for those times you need to bump up your immune system. This is one of our most popular blends for good reason! It's incredible for all things related to your respiratory system. It is a blend of Peppermint, Eucalyptus, Melaleuca, Rosemary, Lemon, and Ravensara essential oils. I use this before working out or if I'm feeling a little stuffy. I just rub a few drops over my chest and take a deep inhale! On Guard® is the immune booster every single family should not be without! It's great for daily immune system support especially during fall and winter months and perfect for when you need bring out some muscle to takle those pesky bugs. 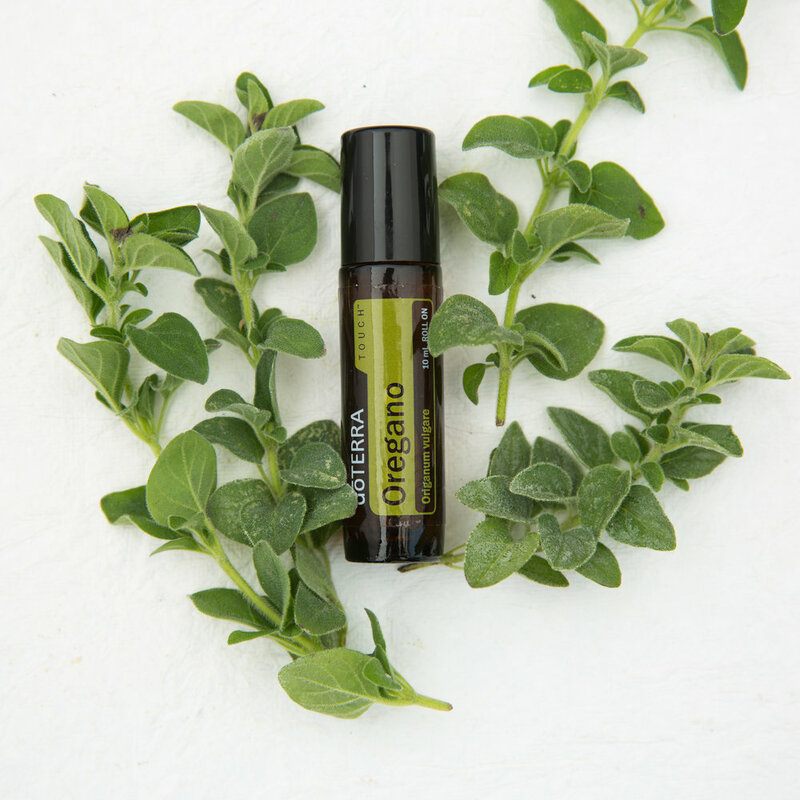 Just add a couple drops to the bottoms of your feet each morning for daily support! Deep Blue® is all things soothing related to muscles and joints. If you have minor aches and pains, discomfort in your joins, or if your kids have normal growing pains, this blend is perfect to use. My personal favorite way to use it is mixing it with some Epsom salts and adding them to a hot bath after a long day or strenuous exercise. This blend is a must have for everything related to your digestice system! I seriously couldn't live would this one. Whether it be diarrhea, constipation, gas, bloating, naseau or anything else, this guy can tackle it. I like to add 2 drops to a shot glass of water and shoot it for quick relief or rub a couple drops over my stomach. Are you ready to get some oils? 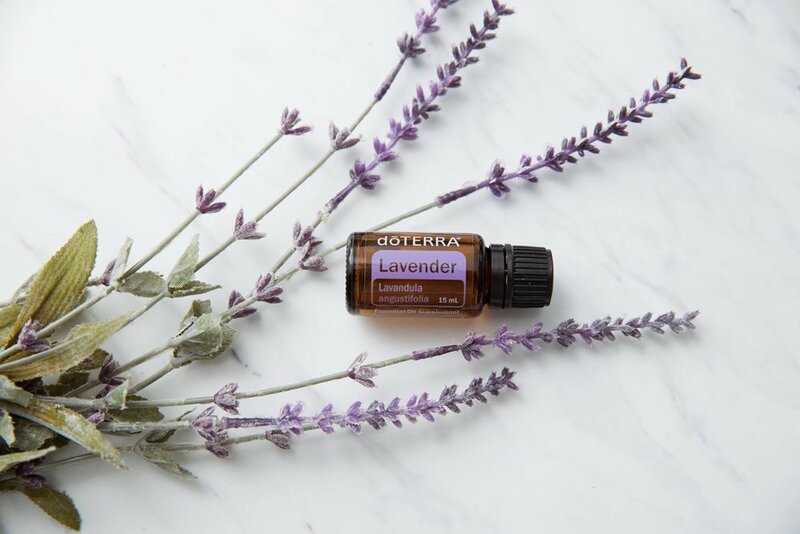 If you're excited to start trying essential oils and want to start with these top essential oils or some of our other most popular oils, check out how to get started here. I'm so excited to get you started!